When word broke that President Uhuru Kenyatta was finally going to have a face to face meeting with US President Donald Trump everyone ran on overdrive trying to guess how their conversation would go down. 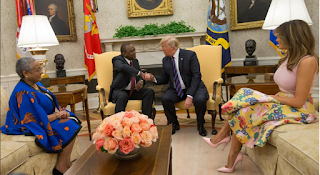 In a viral video making rounds on social media, Uhuru can be heard twenging and rolling his tongue as he articulates his words in a sweet, melodious American accent. 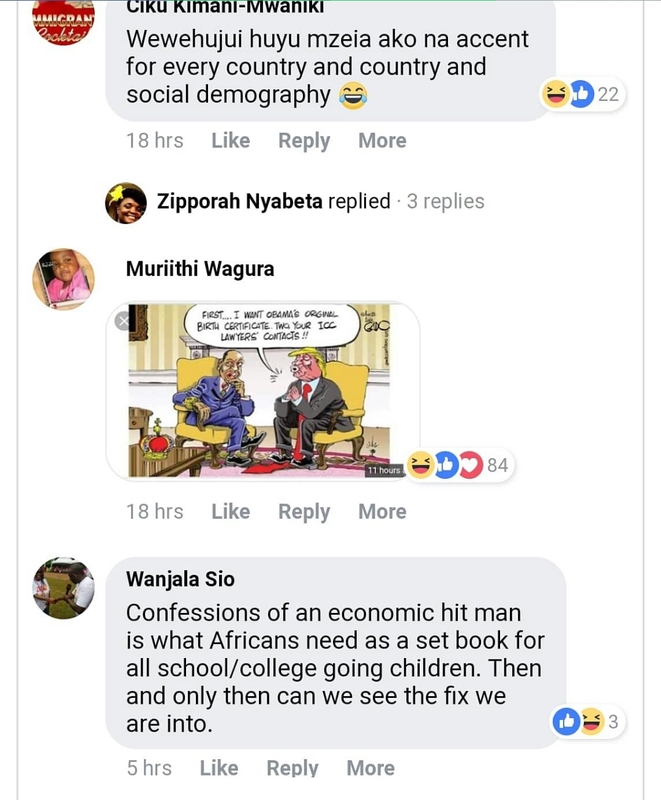 His little speech could easily soothe a baby to sleep especially when he effortlessly let out his Rs and Ts like a mzungu. 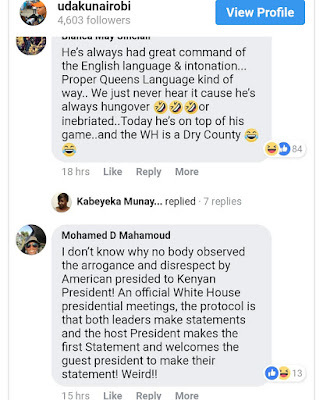 Most Kenyans of course had to scratch the criticism itch as they kept insisting that was not the president's original accent. One even stated after most Kenyans get on a plane, their accent magically changes. However, others maintained Uhuru schooled overseas and his accent is not as forced as most people suggest. 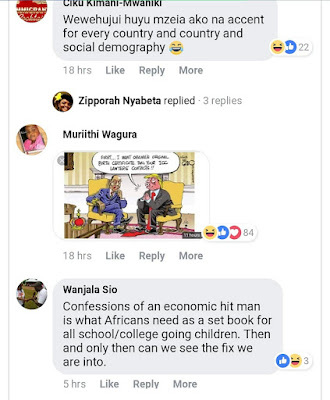 "The only way an American will understand what you are saying is if you speak like them," one netizen by the name John angendo said. Nigerian President was equally American accent when he visited Trump.